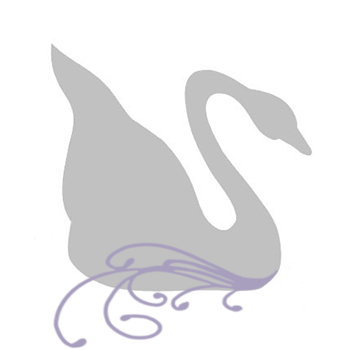 In early November 2014, Joann contacted me about designing three custom cancer awareness bracelets. She reviewed with me all her design requirements and I have to admit, it was a pretty tall order. 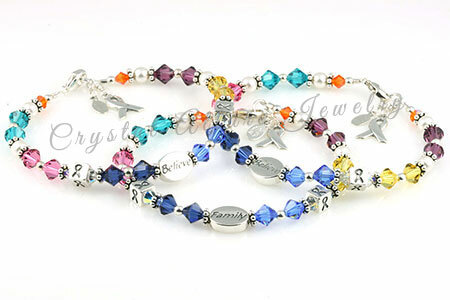 This wasn't just any ordinary awareness bracelet. It was a multi-cancer awareness bracelet that spanned two generations of women in Joann's family and it was my first multi-cancer awareness bracelet. Joann explained to me that her mother (Roberta) had kidney cancer, but had since passed (not from the cancer); her sister (Karen) had bladder cancer and was currently in treatment; and Joann, herself, had thyroid cancer and was in remission. 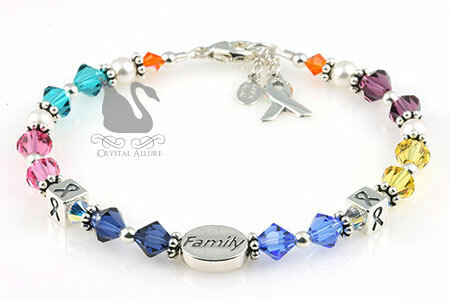 The final design consisted of Crystals by Swarovski to represent the different cancers, sterling silver beads, .925 Bali, sterling ribbon blocks, Swarovski Pearls, sterling silver 'Believe' and 'Family' message beads, awareness ribbon charm and signature jewelry tag. 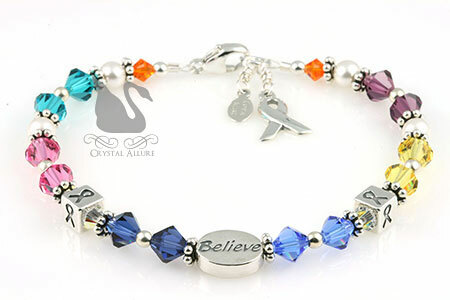 Joann planned on giving one 'Believe' bracelet to her sister after her bladder removal and reconstruction surgery; keeping one 'Believe' bracelet for herself and then giving the 'Family' cancer bracelet to her niece who was studying to be a nurse. What a thoughtful and motivating gift! "I just want to say thank you. I received the bracelets yesterday and they are nicer than what I could have imagined. The orange ended up perfect. I plan to give the bracelets to my sister and niece this weekend. Again, thank you so much for caring so much about this and really making them absolutely beautiful!" You are so very welcome Joann and thank you for entrusting me with this very special and heartfelt custom bracelet design! I wish both you and your sister a long -cancer free -happy life! Stay tuned for the full blog post on how these custom bracelets design evolved.